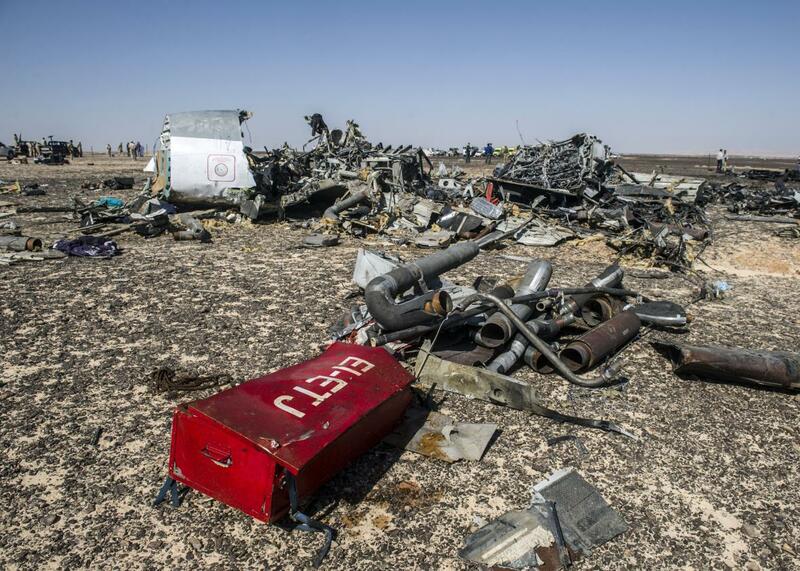 Russia plane crash in Egypt: authorities investigate terrorism, technical failures. Debris belonging to the A321 Russian airliner are seen at the site of the crash in Wadi el-Zolmat, a mountainous area in Egypt’s Sinai Peninsula on Nov. 1, 2015. Russian and Egyptian investigators are working to try to figure out what happened to a Russian airliner that crashed on Saturday in the Sinai Peninsula. Russia’s transport minister arrived in Egypt on Sunday with a team of experts to help in the investigation of the crash. All 224 people on board—four Ukrainians, one Belarusian, and 219 Russians—were killed. All options remain open. The investigators made clear in a statement that they will analyze all possible scenarios for the crash, notes Reuters. For now, government officials and airline executives consider both mechanical failure and terrorism as possible causes for the attack, reports the New York Times. For now, most airlines seem to prefer to play it safe. Three major international airlines—Lufthansa, Air France-KLM and Emirates—have said they will be diverting flights from the Sinai airspace as a precaution, reports the Washington Post.